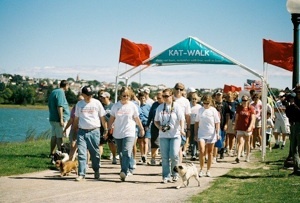 The second annual KAT-Walk in Portland, Maine, took place on Saturday, September 11, 2010. A full tide and stiff wind greeted walkers at the beautiful oceanside Back Cove Boulevard's 3.5 mile course. 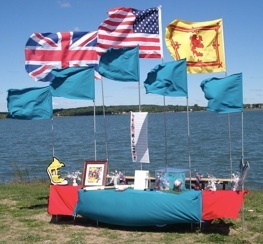 Over 200 people participated and raised $6,000 for the Brain Aneurysm Foundation. A silent auction was also conducted, as was a successful 50/50 raffle. 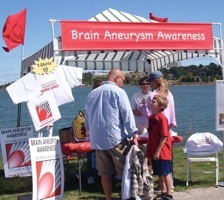 Walkers were encouraged to learn more about brain aneurysms at the awareness tent, staffed by three survivors. To help spread the word, symptom magnets and brochures were handed out and a local TV station covered the walk. 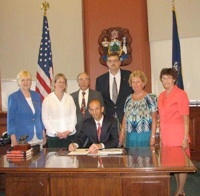 September has been officially proclaimed Brain Aneurysm Awareness month in the State of Maine by Governor John Baldacci.